Ownership is at the core of what makes co-ops unique. By becoming an owner, your share in Deep Roots Market gives you equity in the cooperative and the community. Deep Roots Market is here because of our owners, who govern the store by electing or serving on our Board of Directors. Co-ops are open to everyone, but ownership entitles you to some special benefits that many owners find soon exceed their initial investment. 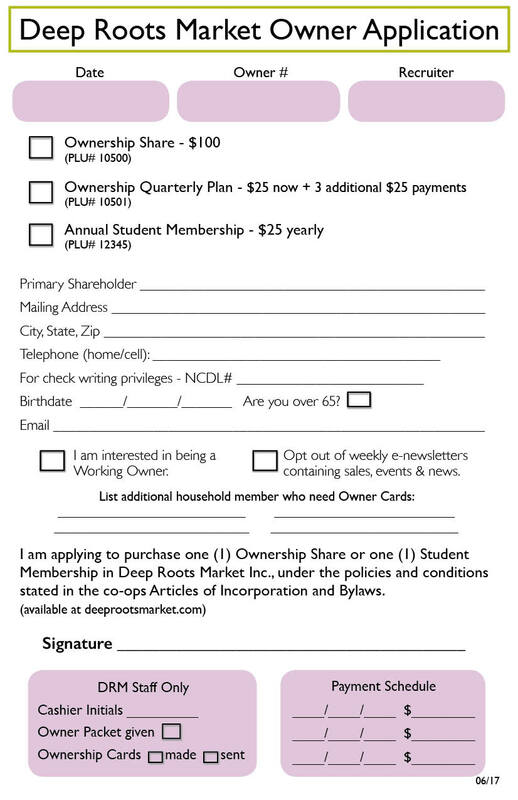 Apply for ownership in person at any register the next time you’re in Deep Roots Market. 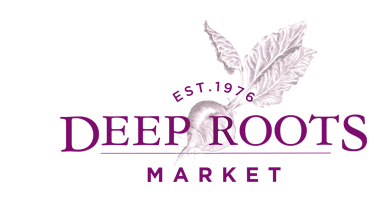 Democratic Governance: Owners vote for our Board of Directors and any owner may run for a seat on our Board. Lunch for Less: Owners benefit from a discounted price on the hot bar and salad bar, every day. Get Involved: Owners receive discounts on fee-based classes and events in our Community Room. Worker/Owner Volunteer: As an owner, you can volunteer in the store in exchange for additional discounts. Patronage Dividends: A share of the co-op’s profits in sufficiently profitable years. Become a Full Owner for a one-time investment of $100, or four installments of $25 paid quarterly. Your ownership share covers you and your household, and is for life. If you move out of town, you can sell back your share to the store. Students at any of our local universities may become owners by purchasing an annual, renewable membership for $25. Student Share memberships entitle you to all owner benefits except voting for or serving on our Board of Directors. Our Low-Income Membership program is proud to promote food equality and accessibility in our community, offering a discount up to 20% off. This program is directly funded by our Round Up Program. If you are a recipient of SNAP, Disability, WIC or the Orange Card, you may qualify for our LIMe Program. You must show proof of qualification or Ownership in order to gain these benefits. Ready to join the Co-op? Click here for your application!